Gifted Aotearoa is a national Network of Expertise established to improve the quality of education offered to young gifted New Zealanders. Gifted Aotearoa is funded by the Ministry of Education, providing support through sharing professional expertise, growing local networks, nurturing local leadership and developing professional pathways. It is free for principals, management, and educators in New Zealand schools and kura to access the network and its services. Gifted Aotearoa is a collaborative project delivered by the New Zealand Centre for Gifted Education, REACH Education Consultancy, and the New Zealand Association for Gifted Children. Gifted Aotearoa consists of five Waka, or initiatives. Māori waka are used in this project to depict the journey being undertaken by participants in the gifted education sector. Please scroll down to explore each waka and register with the Network. Waka Taua was a large waka that could hold many people, just like our network. In the past it often transported parties going into battle - our cohort of learners are often misunderstood and misrepresented, our educators become warriors for our learners and working together strengthens our quest. Waka Taua connects Gifted Aotearoa Network members with each other and with information and opportunities to support you in your work with gifted students. We've had an awesome response to the opening of registrations for the June 2019 Intake of Waka Kōpapa: TAKING the LEAD. This course is now FULL. If you would like to register your interest for the next intake please contact the Gifted Aotearoa Administrator. Scroll down to Waka Kōpapa to find out more and to register your interest. Waka Kōpapa is a 4-module online course covering practical strategies for educators responsible for learners with additional needs including all Gifted Coordinators, SENCos, RTLBs, future Coordinator’s and related professionals to lead provisions for learners with additional needs, such as gifted learners, in your school or kura. A number of questions have been answered by our Waka Ama Kaiārahi, such as "I am leading Gifted and Talented this year. I am a novice at this and would like to know where I should start with this for our school" and "I am setting up a register of gifted learners for my school. Do you have any advice around identifying gifted students and ways to cater to them in your school?". All questions and answers are published on the Gifted Community on TKI. Our Waka Ama Kaiārahi Brooke Trenwith, Rosemary Cathcart and Sue Barriball offer specialist support in gifted education to all network members. They are available now to personally respond to your queries, challenges or concerns related to gifted education. Scroll down to find out more about Waka Ama. If you have not done so already, please scroll down to register with the Network and follow the Gifted Aotearoa Facebook page, so we can inform you of up-coming events and opportunities. Waka Ama is a waka that requires an outrigger to keep balanced and afloat. Waka Ama provides access to Kaiārahi (leaders) in gifted education who provide on-the-spot support to educators and co-ordinators with an immediate need or query. Our gifted education specialists are available to personally respond to your queries, challenges or concerns. Read through their bios and decide who best fits your needs in your current situation. Then email your query, challenge or concern to your chosen expert with "Gifted Aotearoa: Waka Ama" in the subject line. She will respond to you personally. Go on ... Sue, Brooke and Rosemary are ready to help you now! All questions and answers are edited for anonymity and suitability, then published to the Gifted Community on TKI so that everybody can benefit. Click on over to see the Waka Ama Q and As at date. 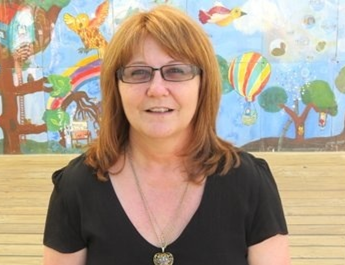 Sue is an experienced educator, having taught primary, secondary and tertiary levels, and has specialised in teaching gifted learners for the past 15 years. She is a former director of the George Parkyn National Centre for Gifted Education and REACH Education tutor, and currently oversees all student programmes at NZCGE. Sue has extensive knowledge and experience in gifted education, thinking skills, and the depth and complexity framework. In addition, Sue has delivered PLD online and face-to-face and presented nationally and internationally on gifted education. She is also a parent of gifted children and contributes regularly to both educator and parent groups. Brooke is a New Zealand Representative on the World Council for Gifted and Talented Children and a MOE Accredited consultant. She has taught early childhood through to university level, been a Gifted Coordinator and was assistant director of an English Language School in Taiwan. Brooke was project leader of the Te Toi Tupu contract, helping schools develop robust, transparent and cohesive approaches to gifted education. Brooke’s specialisations include giftedness, inclusive education, relationship-based learning/cultural responsiveness, coaching/change management, thinking skills, digital fluency, innovative learning and collaborative practice. Brooke is on the Reference Group for the Ministerial Review of Curriculum, Progress and Achievement. 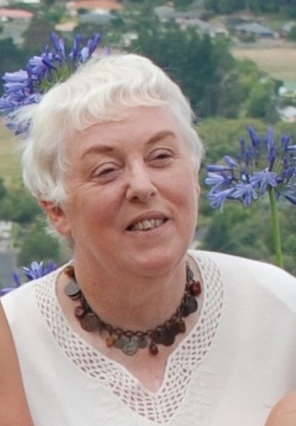 Dr Rosemary Cathcart is director of REACH Education, Ministry-accredited providers of the award-winning Certificate of Effective Practice in Gifted Education, and was formerly founding director of the George Parkyn Centre for Gifted Education. Rosemary has been proactively involved in almost every aspect of gifted education for over 30 years, working intensively with children, teachers, parents, education groups and organisations and as a political advocate. She is deeply committed to supporting teachers and schools in improving their knowledge in this field, both through her published materials and through workshops, courses, conferences and individual advisory work. Waka Tīwai were every-day waka. They were used often and were ideal for moving small groups of people – like our regional network hui. They were also used for recreation, which reflects our desire to enjoy what we are participating in. Waka Tīwai supports the growth of regional networks for educators enabling them to network and collaborate together as a community of learners, growing regional capability to meet the needs of gifted learners. The regional network consists of face to face hui and online collaboration and are focused on practical support for classroom practice. Hui detail and registration links can be found below. Invitations to the Gifted Aotearoa online workspace are sent upon hui registration. Waka Tīwai regional networks are in operation in the following regions: Auckland North, Auckland Central, Waikato, Taranaki, Manawatu, Wellington, Canterbury, Wakatipu. Waka Kōpapa were ideal for moving small groups of people together, just as our leadership development course helps to move groups of educators along on their journey as leaders in gifted education. REGISTRATIONS FOR THE JUNE 2019 INTAKE ARE NOW CLOSED, DUE TO MAXIMUM NUMBERS HAVING BEEN MET. IF YOU WOULD LIKE TO REGSITER YOUR INTEREST FOR THE NEXT INTAKE PLEASE CONTACT THE Gifted Aoteroa Administrator. For further information about this course, download the Waka Kōpapa Information Sheet. ‘TAKING the LEAD’ is a 4-module online course covering practical strategies for educators responsible for learners with additional needs including all Gifted Coordinators, SENCos, RTLBs, future Coordinator’s and related professionals to lead provisions for learners with additional needs, such as gifted learners, in your school or kura. Waka Kōpapa is designed to encourage networking opportunities while also providing individual support. It is free for educators to participate in Waka Kōpapa. Waka Hourua were waka used for travelling long distances. The intent of this Waka is to journey over time with local emerging leaders in gifted education, to develop their ability to lead gifted education initiatives in their community and to support other educators. results in the production and presentation of a resource that reflects effective practice and meets a need of the Gifted Aotearoa network in the local community. Resources may include a Waka Tīwai hui, Q & As for Waka Ama, or a practical resource or publication. Please scroll down to register with the Network and follow the Gifted Aotearoa Facebook page, so we can send you updates in relation to Waka Hourua. E raka te mauī, e raka te katau. A community can use all the skills of its people.